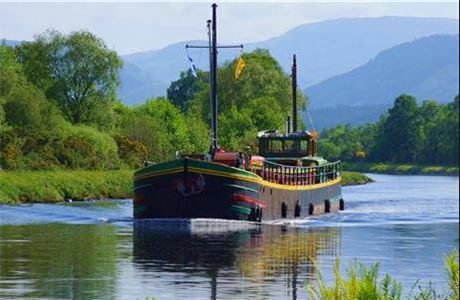 Caledonian Discovery offers cruising holidays with outdoor activities along the Great Glen in the Scottish Highlands. We have two large converted barges. Each barge can take up to 12 guests with a maximum of 6 crew. We are looking for friendly, dedicated staff to contribute to a safe, relaxed and fun atmosphere aboard for our summer season. The barge cruises go through stunning scenery and are enhanced by wonderful food and a wide range of activities. Fingal of Caledonia mainly offers guided walking and biking holidays and has 3 open canoes available for occasional use. Ros Crana has canoes and sailing boats and offers instructor led sailing and canoeing as well as the usual walking and biking options.